Traditionally, the short story is a fictional prose tale of non-specified length, although a story of more than 20,000 words is usually considered to be a novella, a novelette or a short novel. The short story is generally too short to be published as a volume on its own, as in the case of the novel or the play. 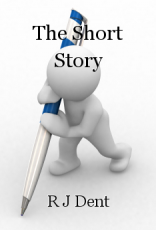 Dramatically, the short story usually concentrates on a single event involving only one or two characters. Here then, is a brief history of the beginnings of the short story as a recognized literary form. The world’s oldest extant short story is Chabuki Yun’s Hop Ten Yato, usually translated as Green Tea. This 5000 word Chinese folk story is believed to have been written by Chabuki in 1100BC. Green Tea concerns itself with the meetings which take place between a princess and a Genji. The steam of the green tea of the title is the medium by which the Genji visits the princess and informs her of other-worldly realms. The princess grows weary of her day-to-day existence and of her Earth-bound form and decides to leave them behind.